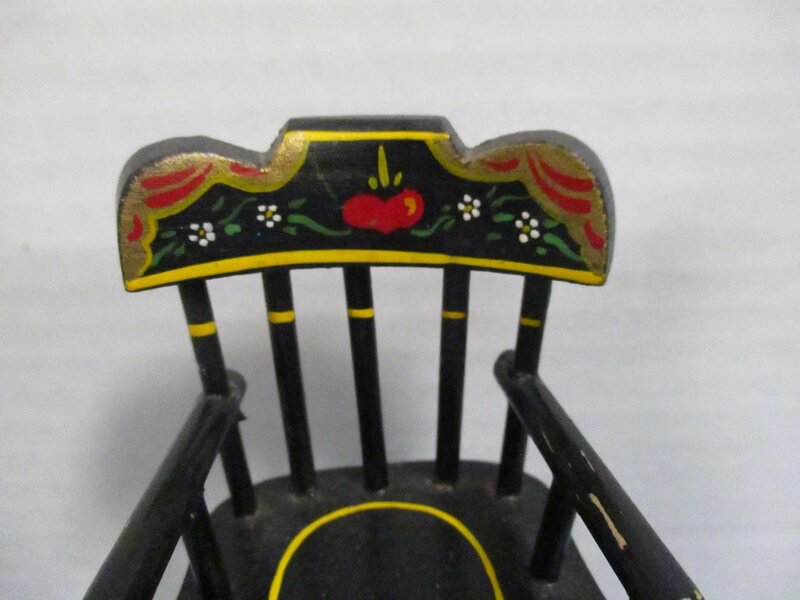 Rare Vintage Black Lacquered Wood Doll High Chair! 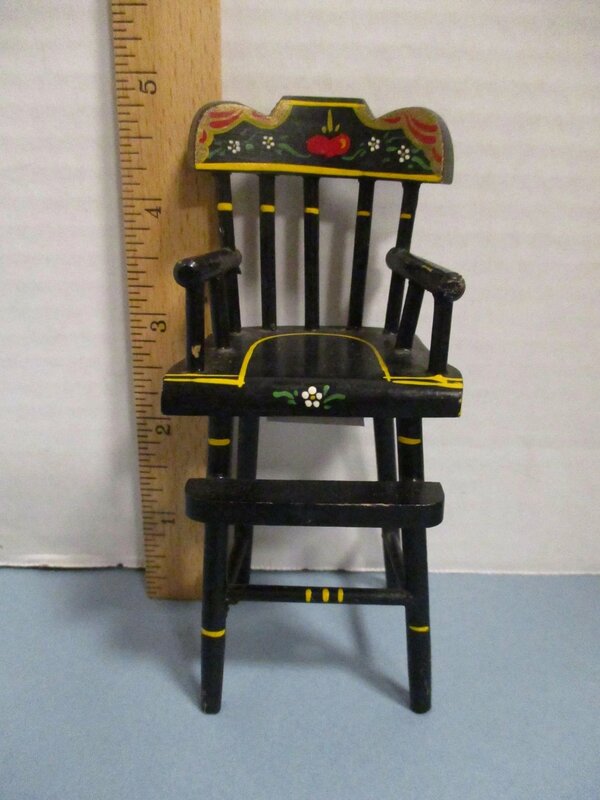 This vintage 1950's doll furniture was hand crafted in Lancaster, Pennsylvania. 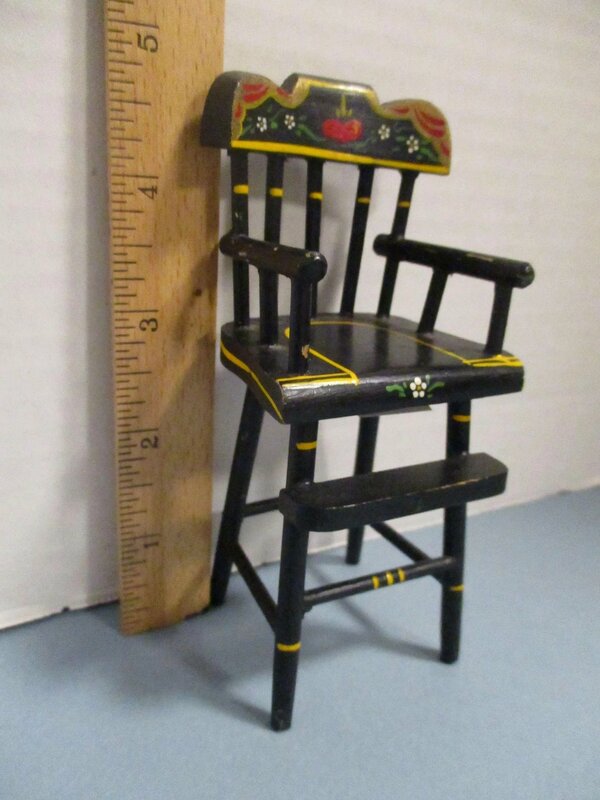 The High Chair is 5" High and 2" Wide and the seat depth is 1 1/2". 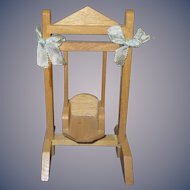 High Chair displays well in any doll scene. 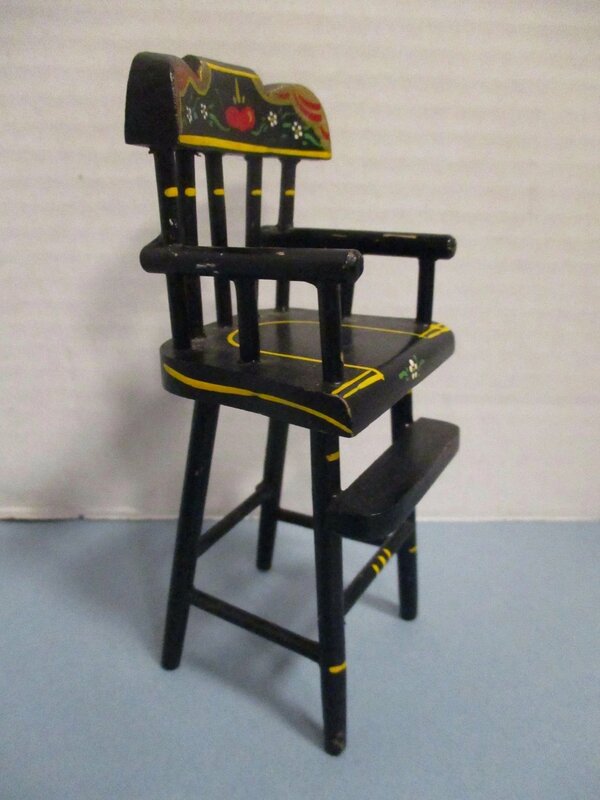 The high chair is in very good condition. 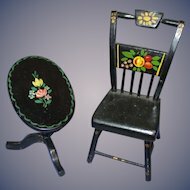 The design is hand painted and very detailed. 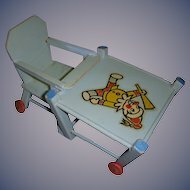 Due to hand painting, each high chair's design is unique. 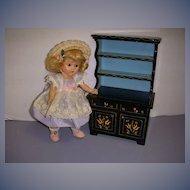 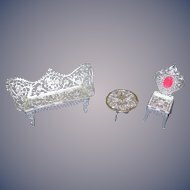 This furniture looks good with Bisque dolls, Nancy Ann Storybook dolls, any 8" doll like Wendy, Ginny or Muffie. 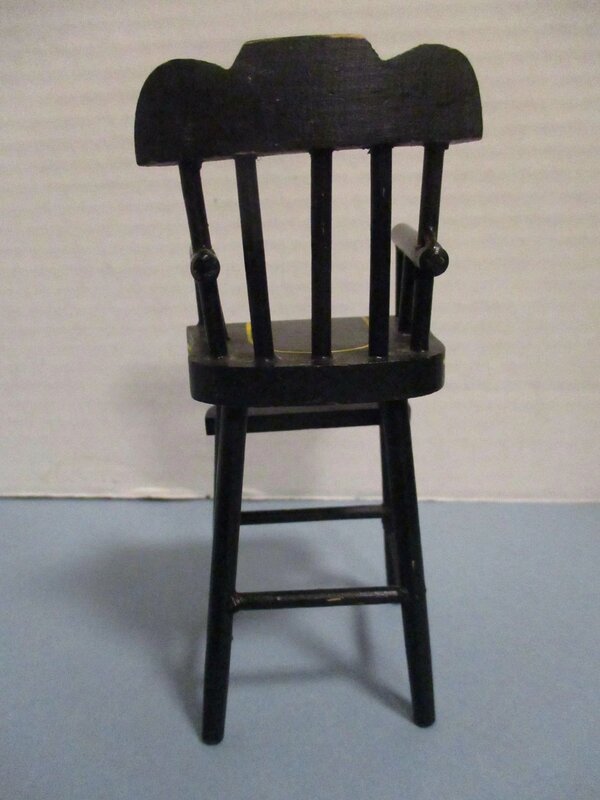 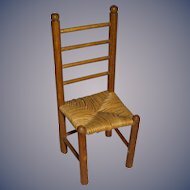 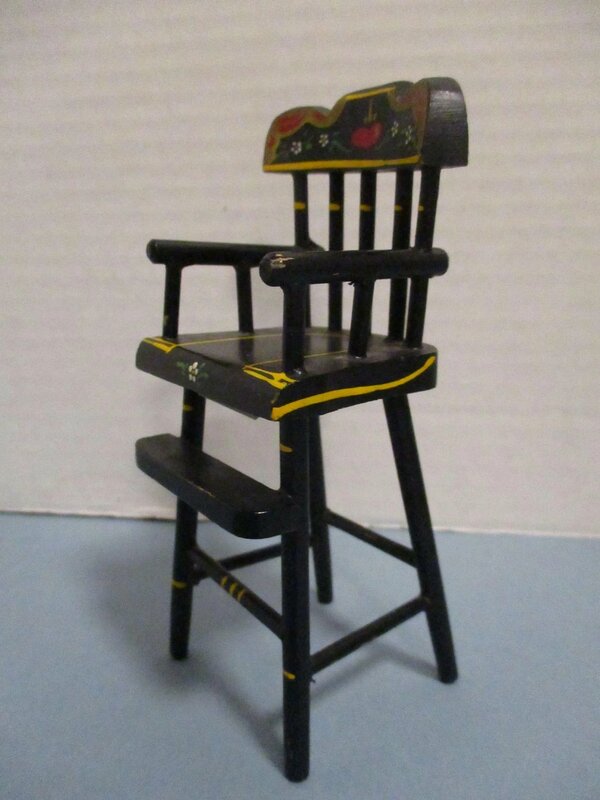 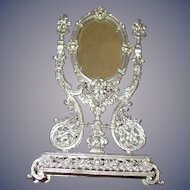 This high chair is one of the most difficult pieces of the black lacquered hand painted Lancaster, PA doll furniture to find. 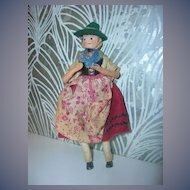 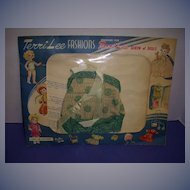 Specializing in Vintage Dolls, Original Doll Clothes, Doll Furniture &- Accessories! 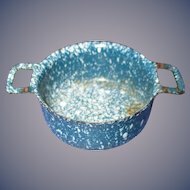 Inventory Sale! 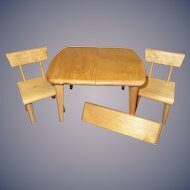 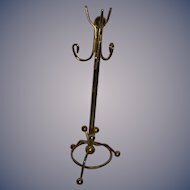 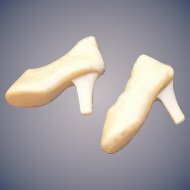 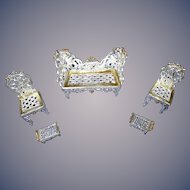 Check out our sale items! 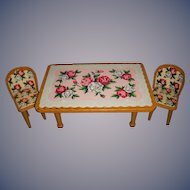 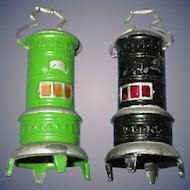 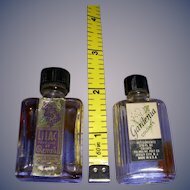 Adding vintage items to our shop weekly!